A classic Cuban staple, pernil is a slow roasted pork should adored throughout all of Latin American communities. A simple marinade of garlic and citrus infuse the pork and the slow roasting ensures it’s fall off the bone tender. 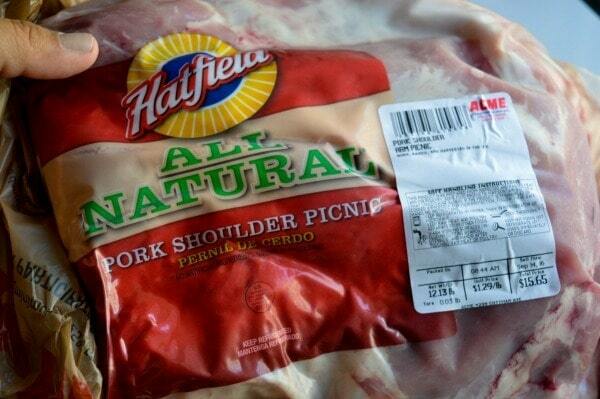 Pernil is the Spanish word for pork shoulder. 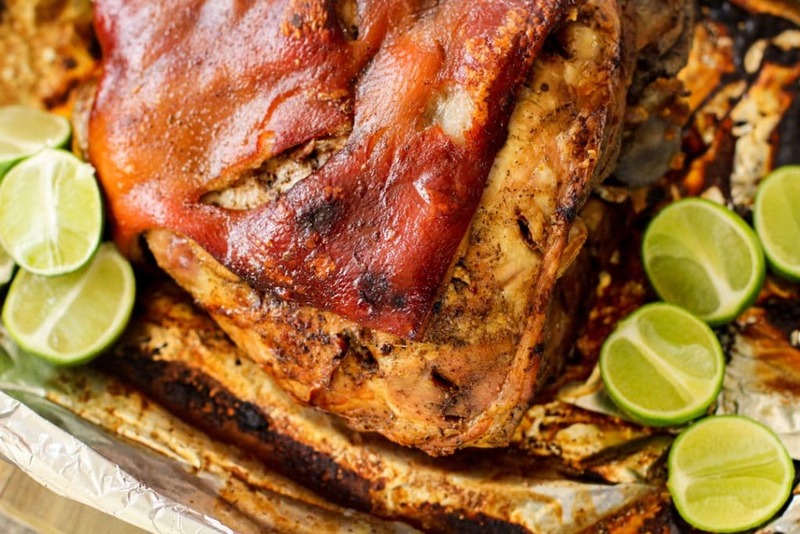 In America, especially the northeast pernil is traditionally roasted in the oven. But lately, I’ve seen people go as far as to grill it. I mean, hey, go for it. But on the islands, they typically take a whole pork and roast it over an open fire. The flavors of pernil are very simple, the less the better. This is something my mom has always told me “salt, pepper, garlic”-those are the basics. Generously season your meat with it and you’re good to go. But you know me, I don’t leave well enough alone. I have to add some more flavors to my dishes. 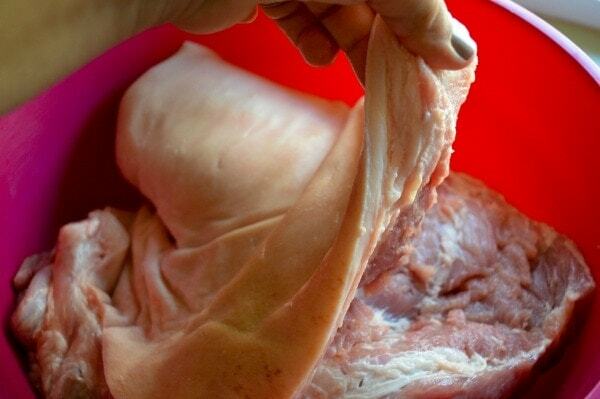 First, you need to remove most of the skin from the meat, just leave enough on to keep it attached. Then with a knife, poke hole pockets all over the meat. Season with salt,pepper, and garlic. Next, you’re going to make a paste with oil and seasonings. Each pernil is going to weigh differently, feel free to make more or less. This is why you’re poking holes, get deep into the pockets for layers of flavor. Rub the paste in very well. 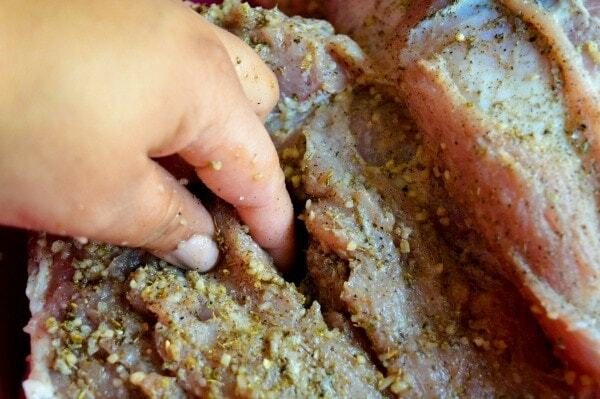 Make sure you rub under the pork as well. Cover and refrigerate for 2-24 hours. The beauty of pernil is how long it takes to cook. This is why we hold onto this recipe for gatherings or holidays. Slow and low is the name of the game. I once met a man who put his pernil into the oven at midnight each night at only 300 degrees. By morning, the meat was falling off of the bone. Another beauty of pernil is the fact that there’s an abundance of leftovers. 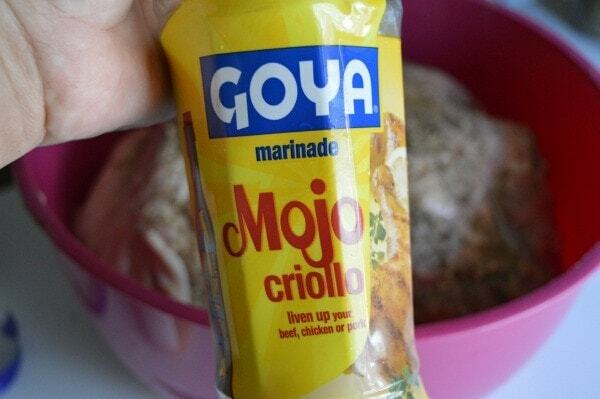 Perfect to make Cuban Sliders or Pork Taquitos! I hope you enjoy this recipe. Just like turkeys, each family has their own method and recipe, I’m sure you’ll find a way to make this your own. Don’t forget that like turkeys, pernil is perfect for leftovers! Leave a comment below and be sure to subscribe. As always, buen provecho. This Latin inspired pork recipe is a traditional staple in every Latin home. 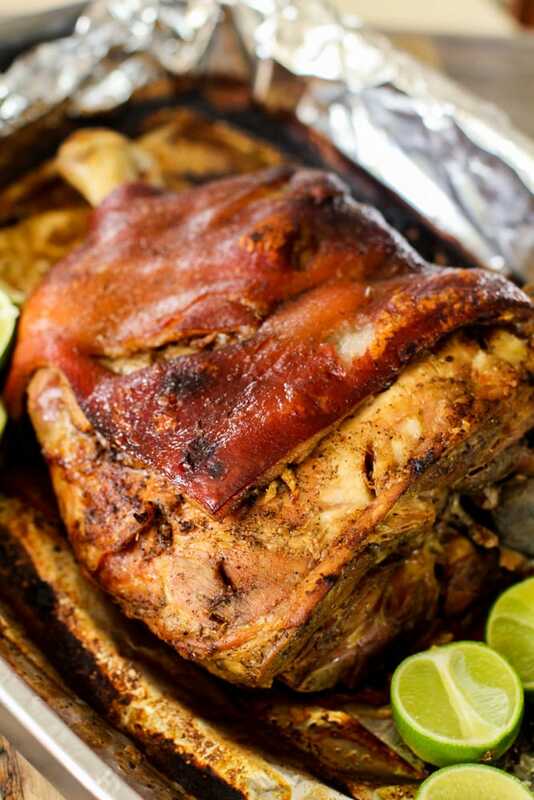 More commonly known as Pernil, this juicy pork meat is the great rival to Turkeys. In a large mixing bowl, with a sharp knife, carefully lift 3/4 of the skin from the meat. Once skin is lifted, gently poke holes throughout meat. 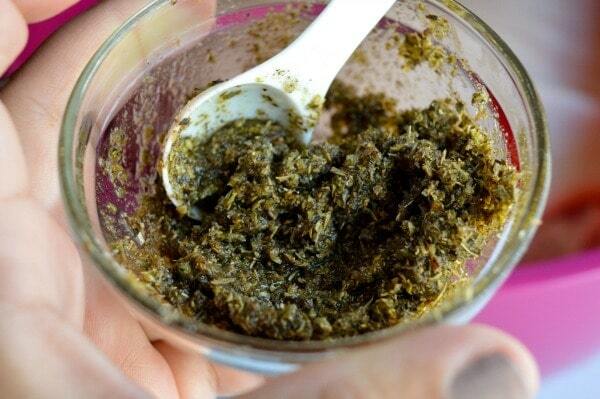 Make a paste with oil and remaining seasonings. Generously rub pork with paste. Cover bowl and refrigerate for at least two hours. After two hours, add in a cup of mojo to bowl, continue to marinate for another hour or overnight in fridge. Into a large roasting pan, add pork, skin side up. Cover with aluminum foil and bake for 5-7 hours. Remove foil and raise heat to 350 degrees for twenty minutes. Remove from heat, let rest for ten minutes. Sprinkle lime juice before serving, if desired. 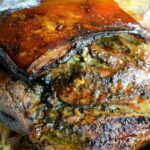 If you like this pernil recipe, you’ll love these recipes!